Medina - Marvella Shaw, a wonderful loving mother, grandmother and great grandmother passed away peacefully on Nov. 29th at Western Reserve Masonic Community in Medina, OH. Marvella was born Oct. 19th, 1919 in Youngstown, a daughter of John E. and Edith Hamilton Stringer. She was a graduate of Girard High School and a member of Girard Presbyterian Church for many years. She was a long-time member of Miriam Chapter of Eastern Star. 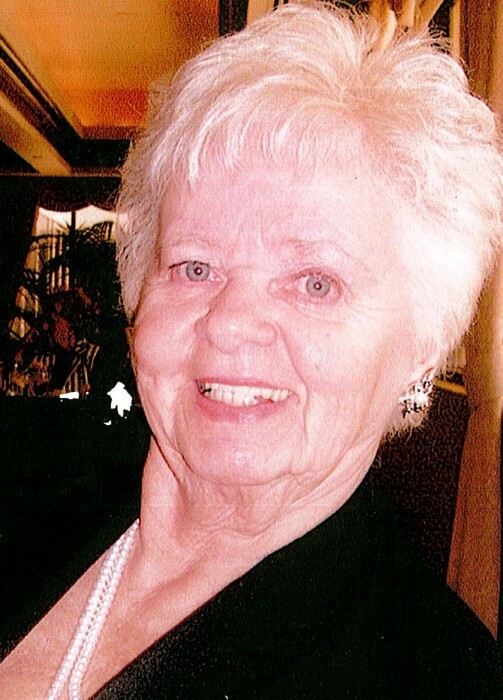 Marvella loved traveling, playing cards and attending her great grandchildren’s events. Nana was loved by all. In later years she was a member of Heritage Presbyterian Church. She was also a member of the Silver Songbirds Chorus at Western Reserve Community. She was preceded in death by her husband, Willard Shaw, and brothers David, G. W., Reginald, Albert Stringer and sisters Jeannette McGowan, Manola Wolbert, and Eleanor Stringer. Marvella leaves to cherish her memory her daughter and son-in-law Judith and Robert Hackley; her grandchildren Lisa (Ed) Hansen, Laurie (Jim) Koewler, and Robert (Deborah) Hackley; and her great grandchildren, Cole and Chase Hansen, Wesley and Miranda Koewler, Jake and Lauren Hackley. A service celebrating Marvella's life will be held Tuesday, December 4th at 11:00 am at the Heritage Presbyterian Church, 1951 Mathews Road in Poland with Pastor Terry Swails officiating. Interment will follow at the Poland Riverside Cemetery. Friends may call Tuesday prior to the service from 9:30 am until 10:45 am at the church.